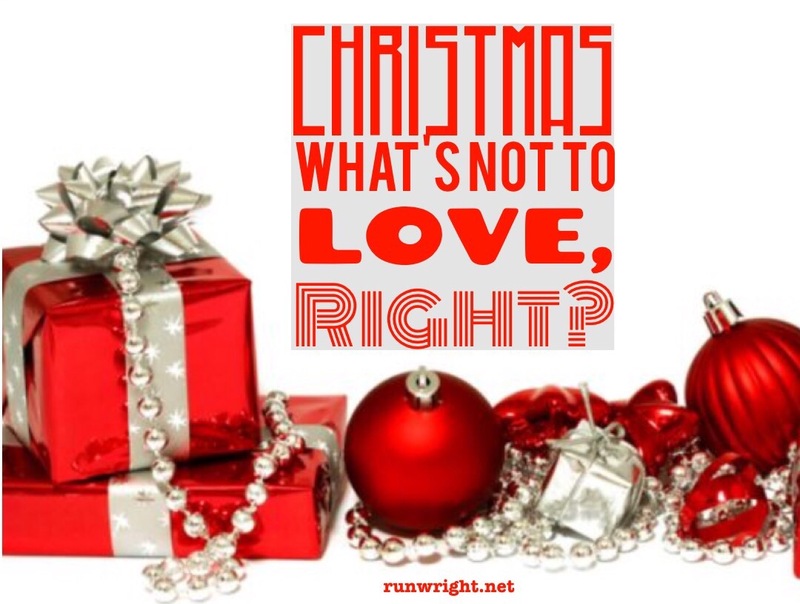 Christmas, What’s Not To Love? I love Christmas. Let me just put that out there first. So you don’t think I’m The Grinch or Ms. Scrooge or anything. I love Christmas. I love an excuse to wear red outfits, to do something different with my apartment, I love the party invitations, I love that even people who wouldn’t think of writing a handwritten Post-it note at any other time during the year will send holiday cards. I love gifts – both giving them and getting them. I love Ugly Christmas sweaters. I love the 12 days of Ugly Christmas sweaters on The Tonight Show. I love 12 days of giveaways on the Ellen show. Then again, maybe I just love every opportunity to get free stuff. I love that even people who don’t go to church regularly make their annual visit for Christmas. I love that people who wouldn’t talk about Jesus at any other time defend their right to wish someone Merry Christ-mas instead of Happy Holidays. There’s so much to love. I think I was going to rant about something but now I’m feeling like there’s nothing to rant about… Oh, yeah, I remember. I’ll tell you what I don’t love about Christmas. I don’t love that the “season” lasts for a full month – from Thanksgiving to New Years. I dont love that for an entire month, Christmas is all everyone will talk about, all the blogs and all the TV morning shows are about Christmas decorating ideas. Sometimes, I watch or read but really, I’m thinking, “Enough already!” How many ways can you really put tinsel and ornaments on a tree? Honestly, no matter how interesting and innovative Martha Stewart-esque ideas are, I’ll probably never even attempt any of the projects. I don’t love the expectation that everyone should do as you do. I don’t love the pressure to do what everyone else does. I’m an individual! I occasionally think my own thoughts and dance to the beat of my own, out-of-tune drum! I don’t love the arguments about whether or not the church should be decorated with a tree because the Christmas tree has roots in pagan celebration. I don’t love the stupid arguments about Starbucks red cups and controversial ads and whether a thin Santa Claus is “weird”. Everyone else wants to eat right and workout and lose weight and get to their healthiest self. Why not Santa? I don’t love the stress of where to spend Christmas. I don’t love how depressed some people get at Christmas because they can’t forget all the things and all the people they lost. I know it’s hard to lose a loved one. My mom lost her mother on Christmas Day and every year we think about her and call her name but we think about her all through the year too. Every day is a new reason to be sad or to be joyful. You have to choose joy every single time! I don’t love the way people put themselves in debt buying extravagant presents, trying to outdo everyone else, trying to top what they bought last year. I am all for gift giving (see above) but a gift can be something simple. I’m not recommending that you fill your Christmas stockings with lumps of clay. But you don’t have to break the bank or max your credit card either. Handmade gifts can be the most personal and most appreciated. A lump of clay modeled to look like me. Why not! 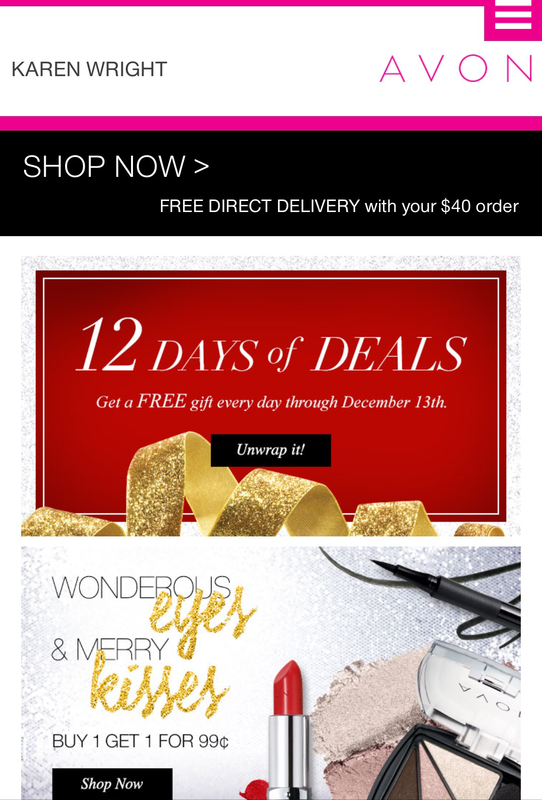 But if you insist on buying gifts, may I recommend that you click here to check out my Avon store? Lots of great deals here today. Lots of free stuff if you like that kind of thing too. Wink wink. Next Post What Is A Cook Book? I could agree more with you, Karen. This season is wonderful and I love it, but there is another side too. The debt, the expectations, the loneliness of missing loved ones. All of this is unfortunately amplified during Christmas. Expectations – that’s the thing that’s the most challenging sometimes, because it’s so hard to live up to an expectation when you don’t even know how it’s defined. I agree with you on so many points. Christmastime is great – I love listening to Christmas music, but the buildup to the holiday is so stressful, and people spend way too much money on frivolous things. So true, Janelle. I’ve been one of those people though – the last minute shopping where you buy anything no matter what it is and how much it costs because you forgot a gift for someone and the stores are about to close 😀 I always say I am trying to do more handmade gifts but it hasn’t worked out that way for me yet. So much to love and not love during this season for use. love from Avon and the prices are much better than some of the department store merchandise. Girl!!! I had to close the webpage…I will go back though (promise!)…lol! In less than 10 min I had over $60 of stuff!!! Haha. I know what you mean, Meeks. I am so tempted every time I order for my clients, I order something for myself. There is a watch with Swarovski crystals that’s just $19 when you purchase $25 worth of stuff. I just closed my eyes and bought it – told myself it was my Christmas gift. Haha. Mary, you’re the best. I was planning to make gifts this year but there’s so much more going on, the DIY projects are just not coming together like I’d planned. Sigh! YES so true!! The only-Christmas-all-the-time particularly on blogs, in magazines, etc, was driving me batty too. Love your list, both the good and the difficult!